@MaineSkiFamily was back at Saddleback today. Another very good day in this winter of seemingly no snow. But don't be fooled - Saddleback has awesome coverage and is putting out a very good product! They are one decent snowstorm away from being MINT. The woods and natural trails are covered very well. They are a bit firm but very little rocks and other obstacles poking through. 6-12 inches of new snow and they are going to be golden! Saddleback groomed product was outstanding today. Tight Line from the top held up well all day. 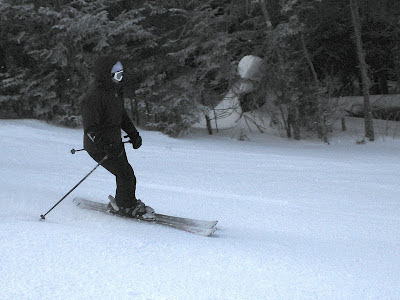 Blue Devil and Gray Ghost skied extremely well as did Silver Doctor. Learn all about the Saddleback trail system on my Definitive Saddleback Trail Guide. Plenty of snow in Intimidator Glade! 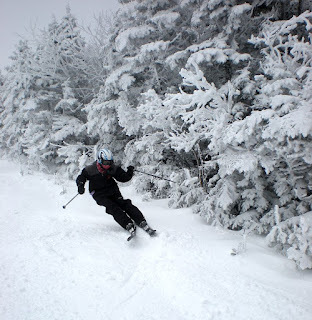 We did venture into the Intimidator glade and it skied very well. That is probably my favorite glade on the mountain. For whatever reason the pitch and tree spacing is just right for me. It held very nice snow and was very skiable. The other glades were a bit more firm but you could get an edge in. 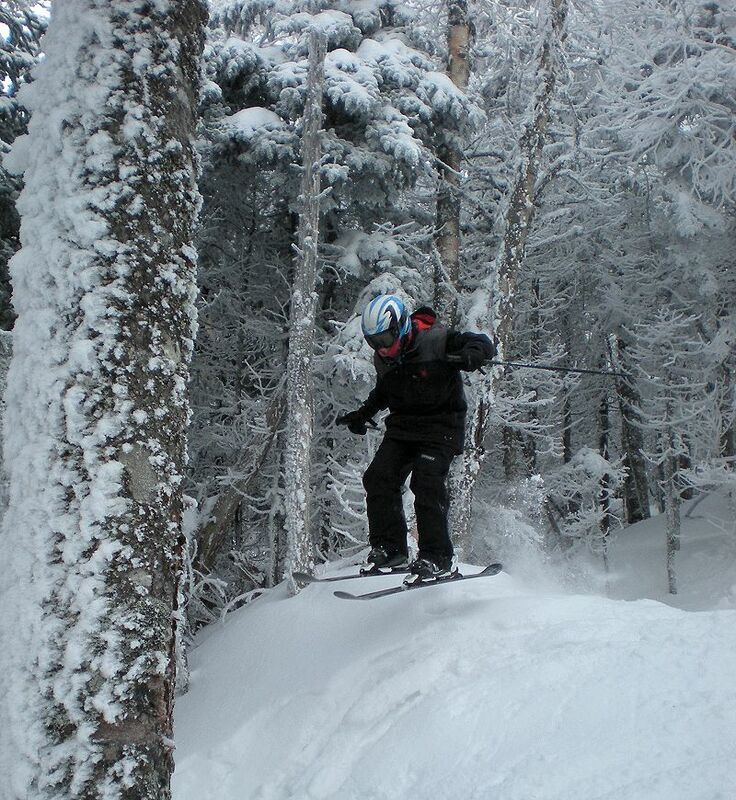 My oldest son Alec has a Giant Slalom race Monday so he stayed on his GS skis all day. I was going to get a couple of pictures of him but he was going to fast for me to catch up! Overall a very good day. It was a bit cold, but once we numbed up we were fine. 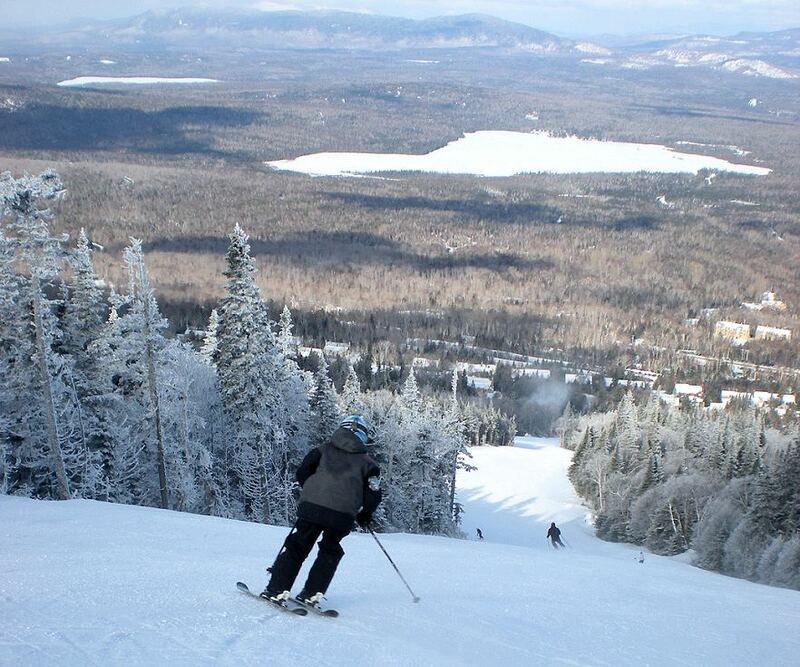 :-) If you are not skiing this winter because you think there is no snow in the mountains you are WRONG. Go out and ski! The time is now! Can't beat the Saddleback view!